● Sign up for the newsletter and get an incentive for your first purchase which have previously included 15% off your next order. This offer may change without notice. ● Check the Coupons & Discount Codes section for details about currently available offers. Common offers include free shipping deals applied to a minimum purchase value such as $75. ● Save as much as 50% on featured items in the Sale section. You can also browse by price on the left side according to the $0-10, $10-20 and $20-30 categories. ● Seasonal offers, such as 32% off sitewide during the store’s anniversary, are featured on the homepage. Similar offers are also promoted during holidays and gift-giving seasons. ● Shipping starts at $7 with all fees computed upon checkout. A free shipping offer (within the US and Canada) for orders above $75 seems to be ongoing but may change anytime. 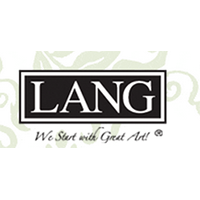 Lang offers a wide variety of art products and décor ideas. You can use this website to shop for a varied range of unique products, created through an ongoing collaboration between Lang and various artists. You can shop for a number of things at their website for décor or other purposes, including calendars, cards and stationary, mugs, home and décor products, kitchen and dining products, outdoor products, gifts and accessories, and much more. You can browse the artists section of the site, which allows you to focus on products featuring specific artists. You can also find a large assortment of products that are designed to reflect the season of the moment. For most up to date offers check out Lang on Facebook and Twitter or contact Lang Support for any questions.